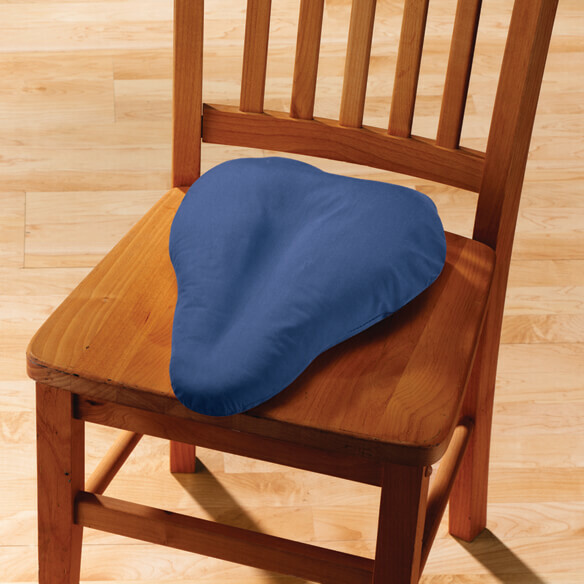 Sciatica saddle pillow helps relieve sciatica pain and pressure. Contoured design supports your thighs and rear for maximum comfort while you sit, with a channel that helps avoid sciatic nerve compression. 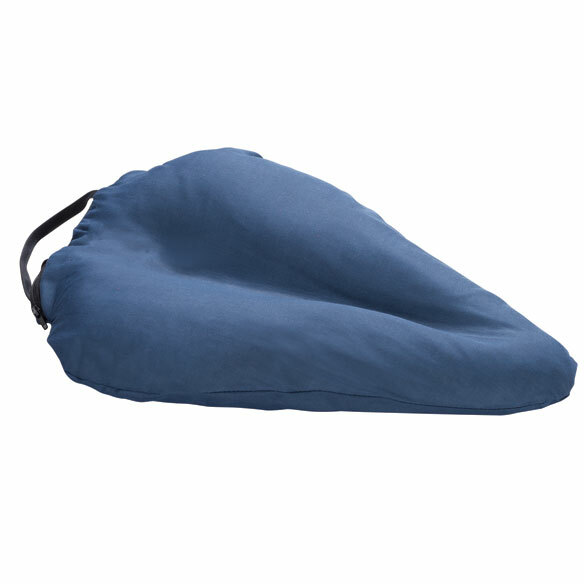 Removable zip cover is machine washable for easy-care convenience. 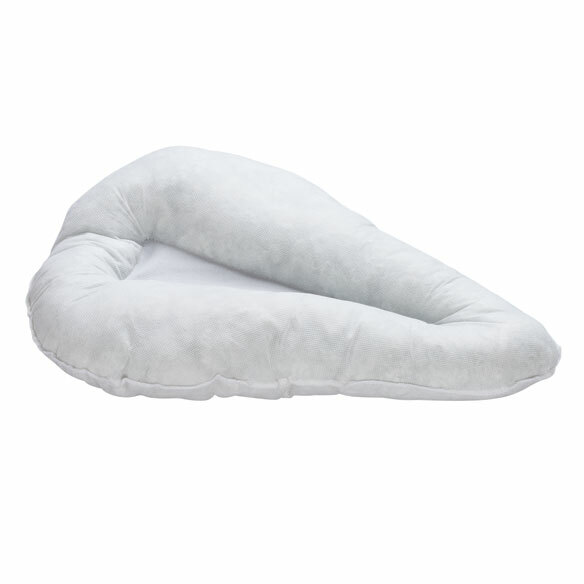 Carrying handle makes this sciatica pillow portable for home and travel. 15"L x 10"W x 2 1/2"D.
80% polyester/20% cotton blend cover. Machine wash, tumble dry cover. The cushion is not comfortable and I would return it but after paying shipping both ways the amount of the refund is not worth the trouble. It does not help with the pain at all. I need to have better support for my sciatica pain. Hope to ease pain while driving. I suffer from Sciatica and any help to ease it is MORE than welcome! A relative had used this before, would like to have it again. My sciatica bothers me constantly. My friend swears by this product. Not what was expected. Would not recommend this product.